I’ve heard nothing but fabulous things about the Boba carrier. I have an Ergo and I must admit that it’s going to be hard to top the love that I have for my Ergo, but we’ll see how it all plays out. The first thing that I noticed in a side by side comparison was the height difference between the two. The Boba is a few inches higher than the Ergo which may play out nicely with my backwards leaner. Other than the height differences, they are very similar in their structure and basic mechanics. 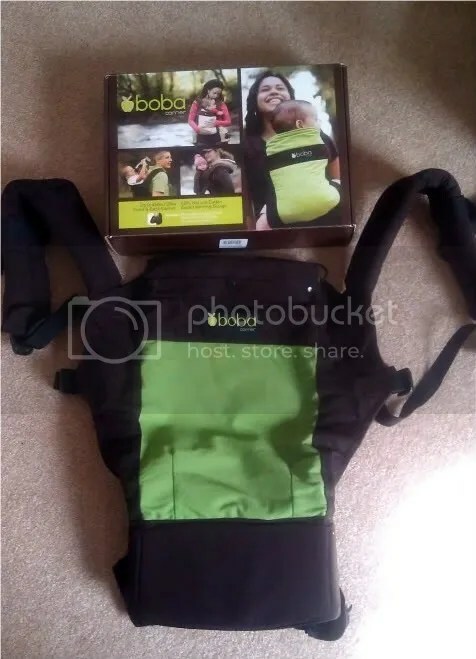 The buckles are similar though the Boba clips in the center of the waist and the Ergo clips on the side. In trying on the Boba without Baby K inside it seemed like the buckles were easier to adjust than the Ergo, but I will put this into practice after the baby wakes from his nap. The Boba has a sleek, smooth front where the Ergo has a nice little pocket for small things like keys, a cell phone, and/or a wallet. I must admit that I do like this feature and used it quite a bit to walk to the store around the corner. There is also a pocket for the Ergo’s sleeping hood where the Boba’s is held by two elastics on the side or you can detach it altogether. The other biggest difference besides the height is that the Boba has foot straps. Baby K is only ten months old so I won’t be using that feature for quite some time but I can see it being pretty handy for a back riding toddler. 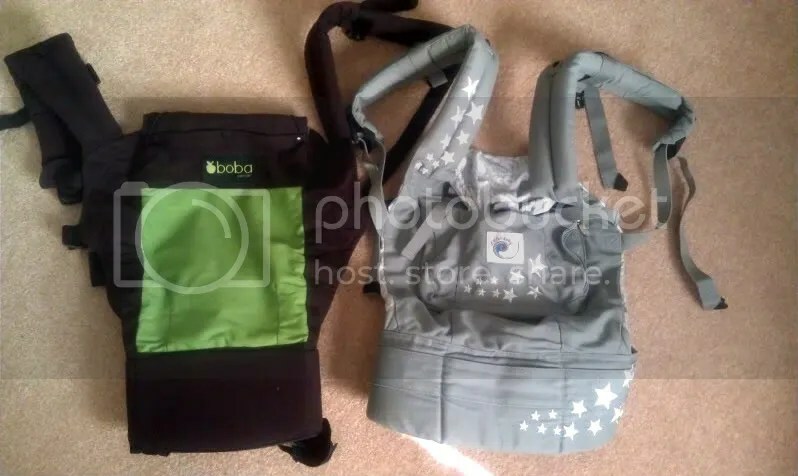 So there you have it; the Ergo and the Boba side by side at a quick glance. I look forward to trying out my new toy and I will post another comparison when I have had a chance to put the Boba to use. Boba Customer Service = Amazing! I’ve been wanting to get one of these two, but it’s so hard to decide which one to go with!